Pinterest Inspired Log Bench = Success!! 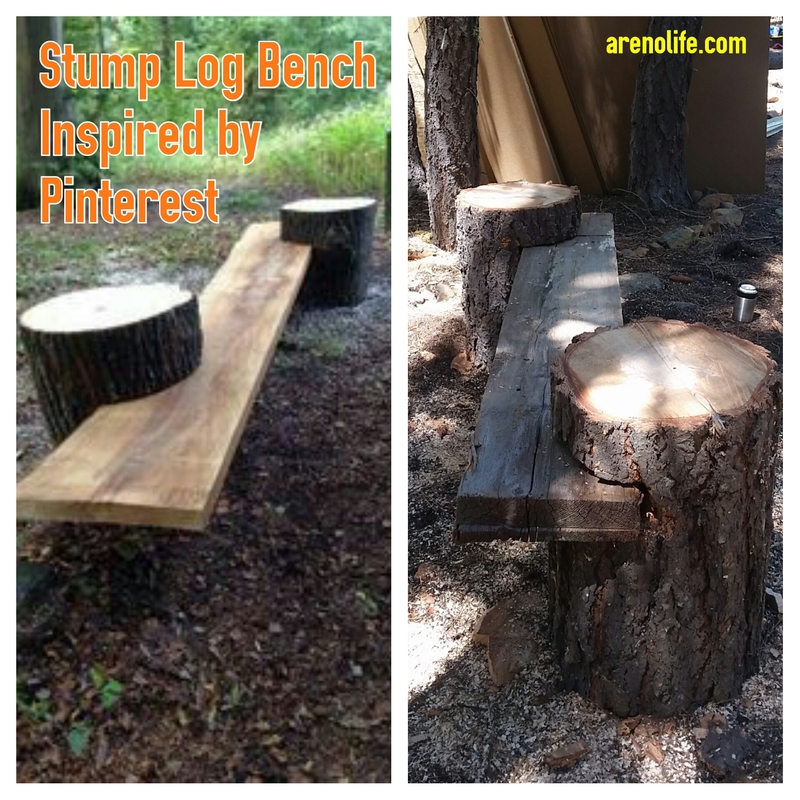 After seeing this log bench on Pinterest (photo on left from 1001gardens.org/2015/06/15-diy-log-ideas-for-your-garden/), my husband took his chainsaw and built the same bench (see photo on right) at our property. It is a solid bench and recommend it to others who need a bench. We got the 3″x12″ wood beam from our neighbor who wanted to get rid of some scrap wood. The hubby cut openings in the wood at a slight angle, wedged the beam in and then used the back of his axe to hammer/wedge the beam into the stumps tightly. It worked!! And the bench is solid. Doesn’t wiggle, shake, etc. Also the nice part about the top of the stumps and the beam protruding from the stump, is that there is plenty of room to set down a drink. Love it! Pinterest success!